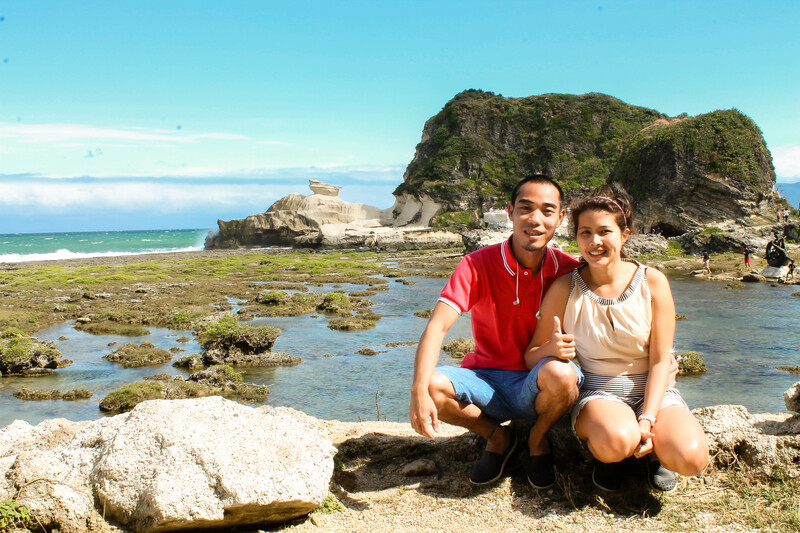 Day 2 of our Ilocos adventure was allotted to the north attractions of Ilocos Norte. 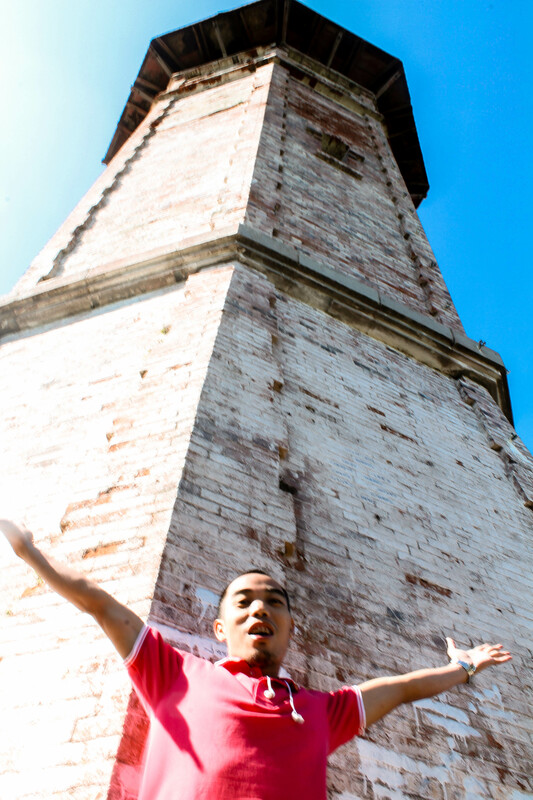 After being immersed in the history of the region and awed by the power of the Marcoses the day before, it was time for us to see Ilocos as a place with immense power of natural and man-made beauty. 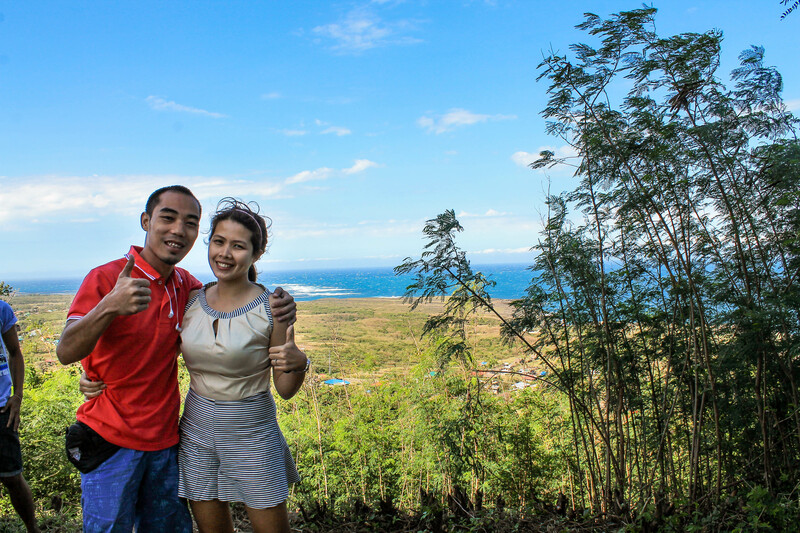 From Laoag City, still using Kuya Rico’s power trike, it took us 2 hours to reach our first destination, Cape Bojeador Lighthouse in Burgos. 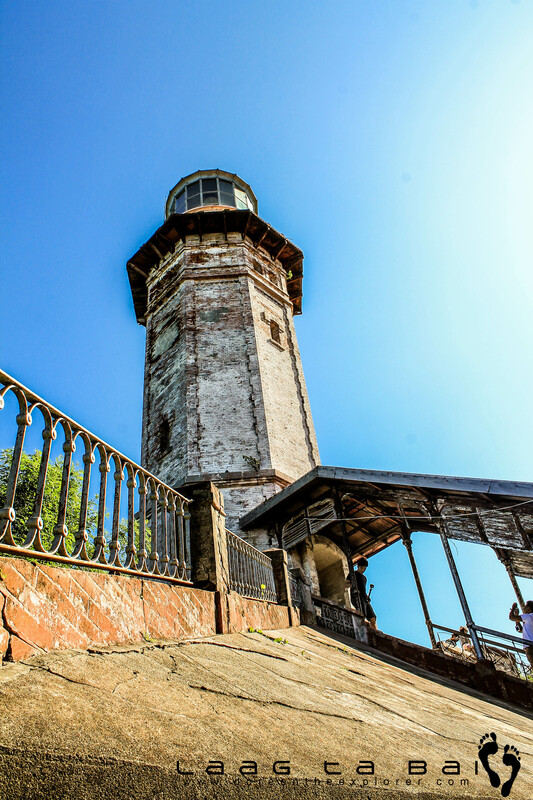 Built in 1890, this lighthouse is 60 foot tall and up until now still functions as a welcoming sight to ships from other countries. 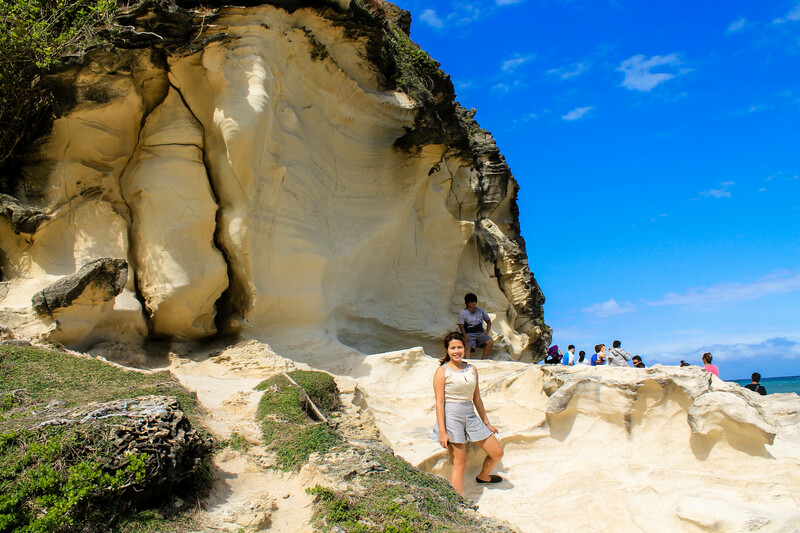 Naturally- made pure white rock formations along the rocky coast of Burgos is such an impeccable sight to behold. Such wonder only nature can explain. 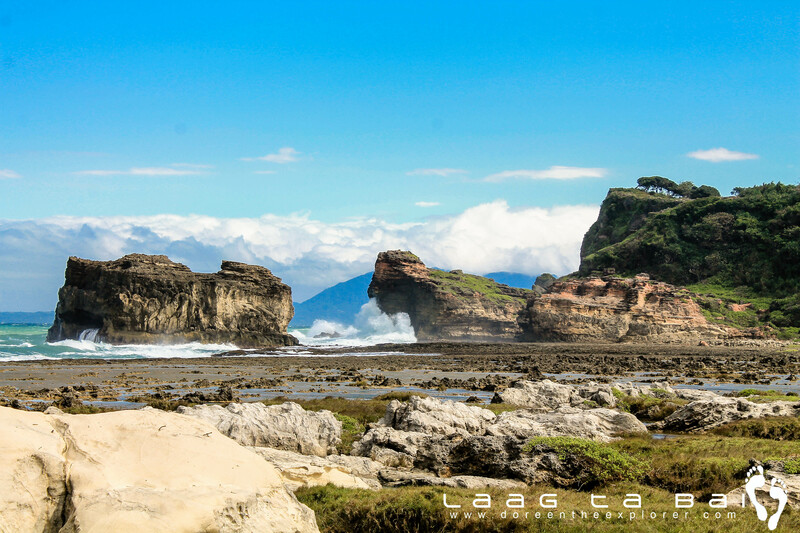 A stunning view of the rocks from afar. These huge waves along with the strong winds molded the rock formations. 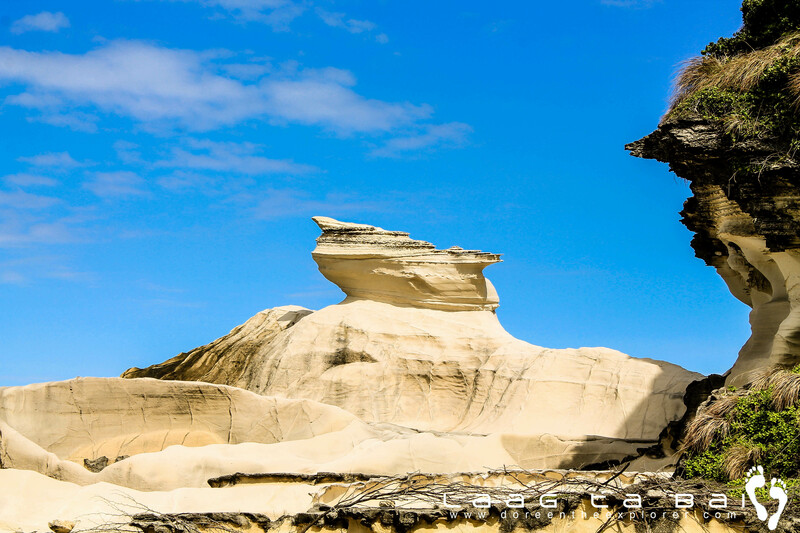 Its creamy white color makes it unique from other rock formations. 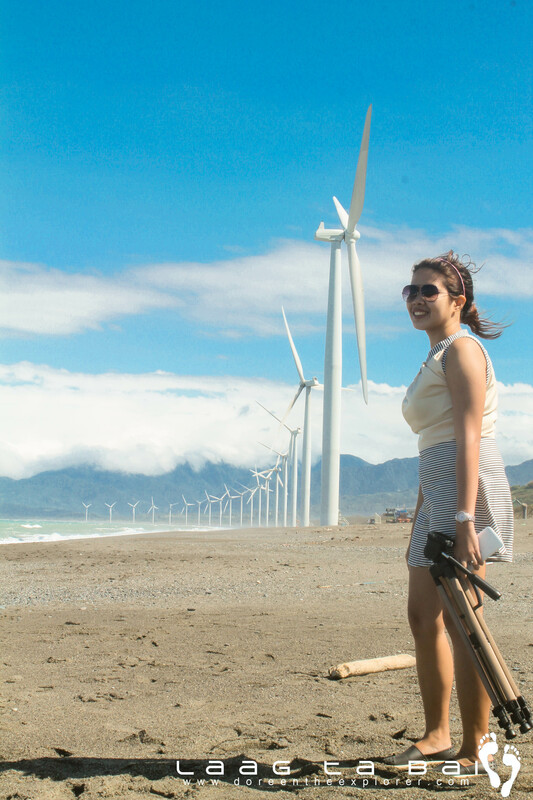 These are 20 units of wind turbines scattered along the shore of Bangui stretching up to 9 kilometers. 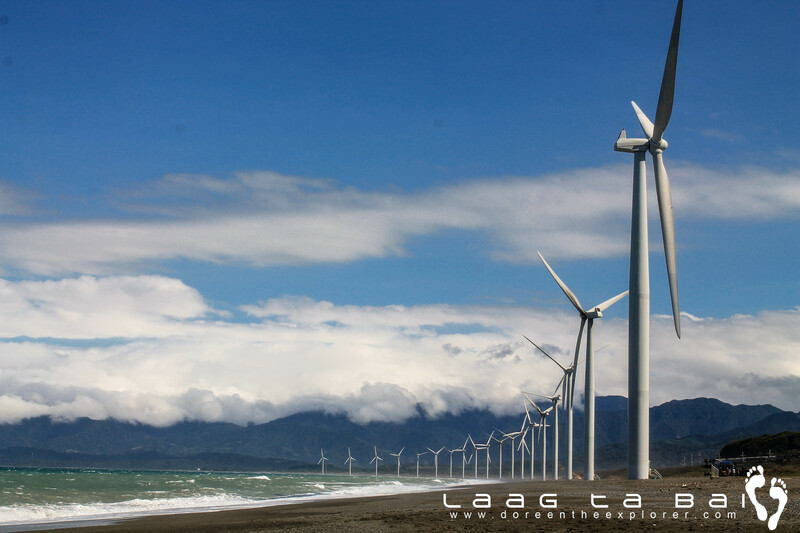 This mega structure is one of the reasons why I badly want to go to Ilocos. Seeing it in person is ecstatic! 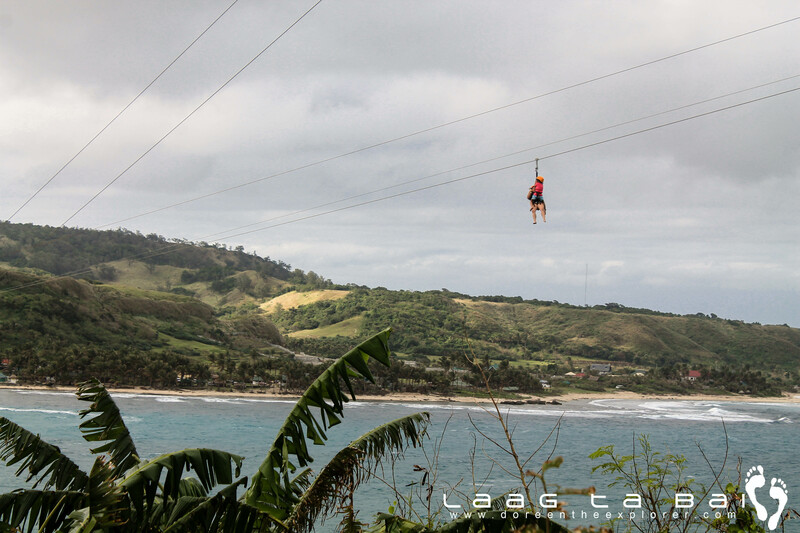 The turbines are 70 meters (230 feet) high with 41 meters (135 feet) long blades. 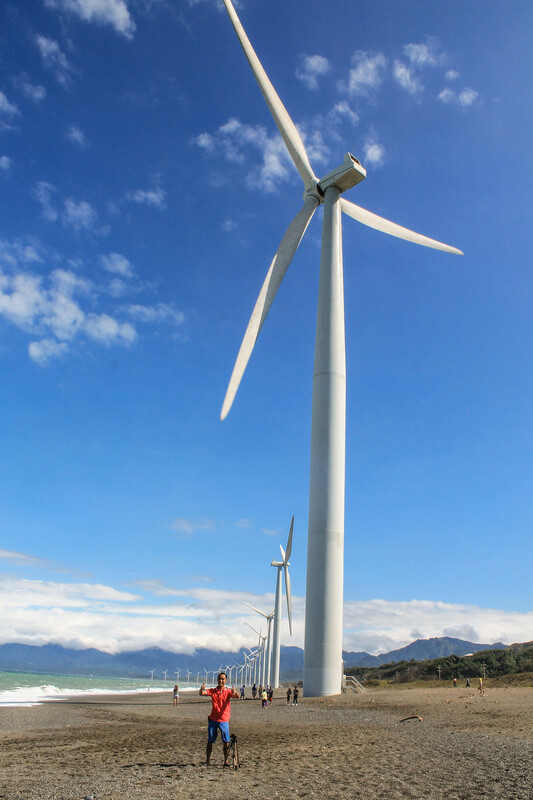 The wind farm supplies wind energy to almost all of Bangui. Just be careful not to be too immersed with taking pictures, you might forget and end up being caught with the huge waves. They were scary! 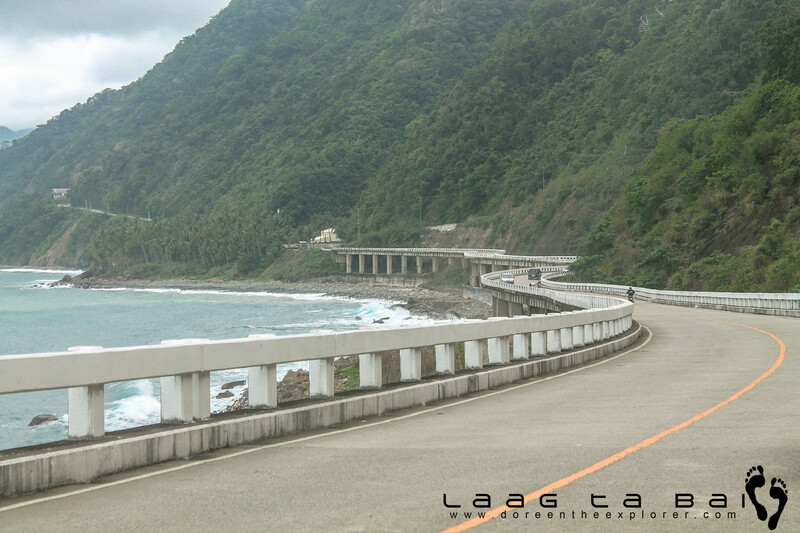 One of the legacies built by the late president Ferdinand Marcos is a viaduct connecting Ilocos to the nearby mountainous region of Cagayan. 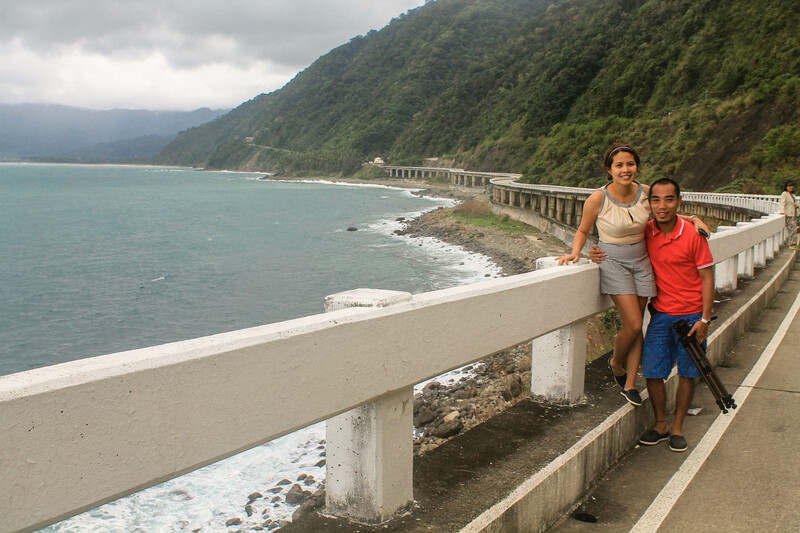 31 meters over sea level and 1.3 kilometers long, this coastal bridge has been a popular tourist attraction in Pagudpud. That long and winding road. 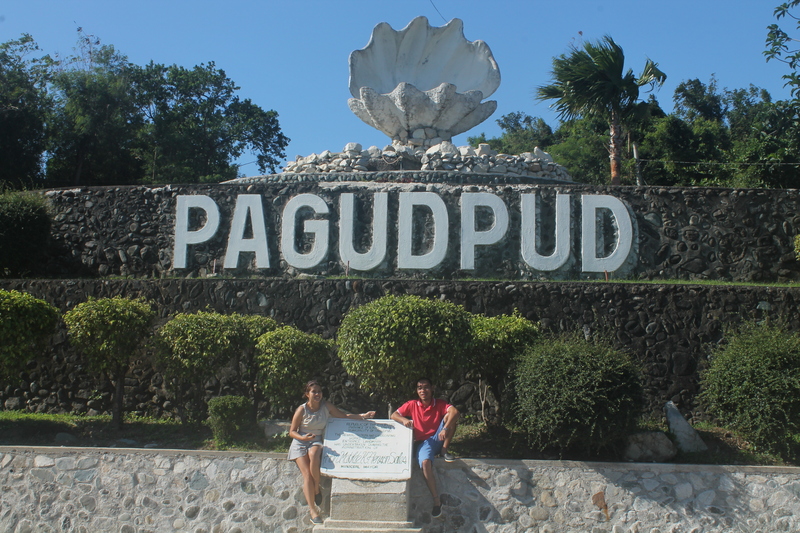 Dubbed as the Boracay of the north, Pagudpud surely deserves this term. 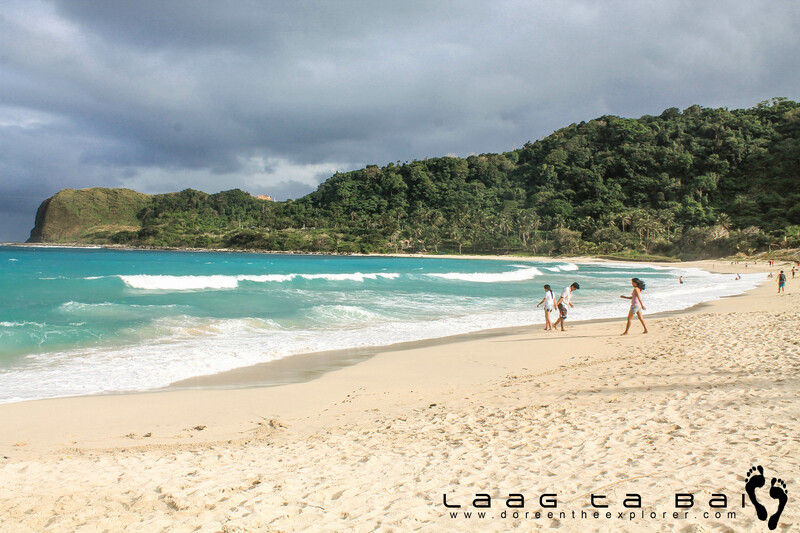 Its fine white sand beach is comparable to that of Boracay’s. A view of the beach from afar. We just had a little stroll at the beach. We thought that swimming is a bad idea since it was very windy and the waves were a bit rough. The place was also crowded with tourists. 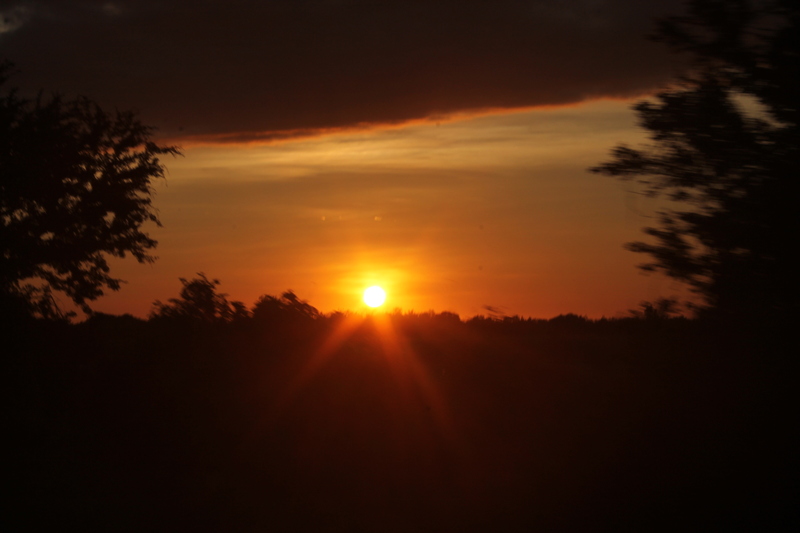 Then it was time for us to go back to Laoag so we can catch the bus for Vigan. It took us 2 hours to reach Laoag City. Our trip wouldn’t be possible without Kuya Rico’s help. The tour up north is not that easy at all especially if you’re driving a tricycle. Although the roads were cemented, some are a bit steep. On our way to Laoag City, we encountered 2 mishaps. One, a motorcycle with 3 passengers slid because it was raining and the other was a Pajero with a tire broken. It could happen to us should Kuya Rico became careless.